How Can I Get a UK IP Address While I Am Abroad? You are here: Home UK VPN How Can I Get a UK IP Address While I Am Abroad? If you are planning to spend some time abroad from the UK, whether you are going on holiday or you are taking a business trip or emigrating, you might want to consider the idea of obtaining a UK IP address for use in other countries. It’s possible that you will meet with frustrations when you are accessing the internet from abroad. You might be faced with restrictions or censorship and, at the very list, it’s highly likely that some of your usual websites will be inaccessible to you. You can get round these problems by investing in a VPN, or Virtual Private Network. Why Am I Worrying About a UK IP Address While I’m Abroad? There are a number of countries that place restrictions on internet usage, both for citizens and visitors to the region. This is sometimes for political reasons and sometimes for cultural or financial ones, but the essence is the same: there will be websites that you may visit regularly while in the UK, but can no longer access from abroad. In some cases, this might even extend to social networking sites like Twitter and Facebook. What if There Are No Restrictions to my Internet Access Abroad? Even if there are no restrictions to think about, a UK IP address will still prove helpful. There are many websites that handle your personal data, including your banking websites and shopping sites. If you attempt to use these from abroad without a UK IP address, you may be blocked or your activity flagged as unusual. If you are hoping to keep up with television and radio from home as you are used to doing through online streaming portals, you will find that these are region restricted. 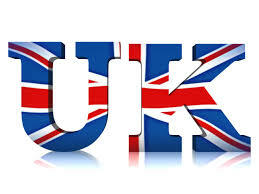 Only with a UK IP address abroad can you be sure to have access to everything you are used to having access to. How Do I Get a UK IP Address Abroad? How Do I Get a US IP Address While Abroad?